The club are delighted to announce the signing of highly experienced centre back Andre Wallace. 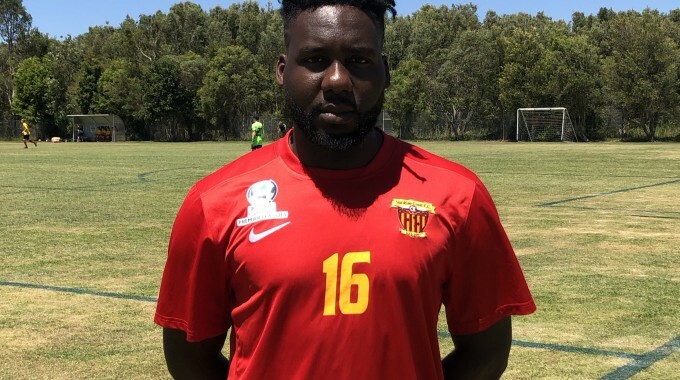 Andre, 31 is originally from Jamaica and joins us via the State League in NSW having played with Western Condors Football Club and the University of Sydney the last two seasons. Andre is a powerful centre back who stands at 6 foot 2 and brings with him a wealth of international playing experience having plied his trade over the years in Mexico, Sweden, Norway and his native Jamaica. Last season Andre captained Western Condors and featured in all 22 games. Along with playing centre back, he can also play in centre midfield and left wing. Speaking on the signing Head Coach Richard Hudson said “I am delighted we have secured the services of big Wall for the 2019 NPL campaign. Not only does he command a big presence on the field, I’m sure he will be a crowd favorite. The club look forward to welcoming Andre into the Fire family this season and sharing more positive news with you in due course.